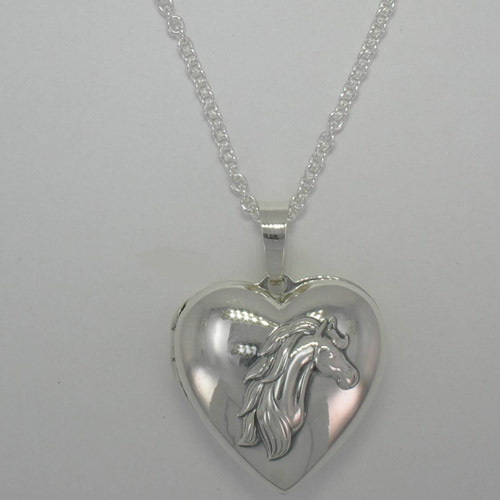 Desc: Sterling Silver heart shaped horse head locket with chain. The chain is 20 inches long and is a curb link with a spring ring clasp. 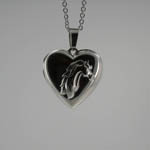 The locket is heart shaped and has a raised image of a horse head with a flowing mane and forelock. 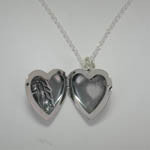 The necklace has a bright polish finish. Made in the United States of America. 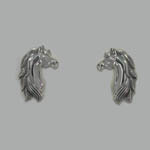 We have matching earrings, see SK910.